My students love Oz the great movie. 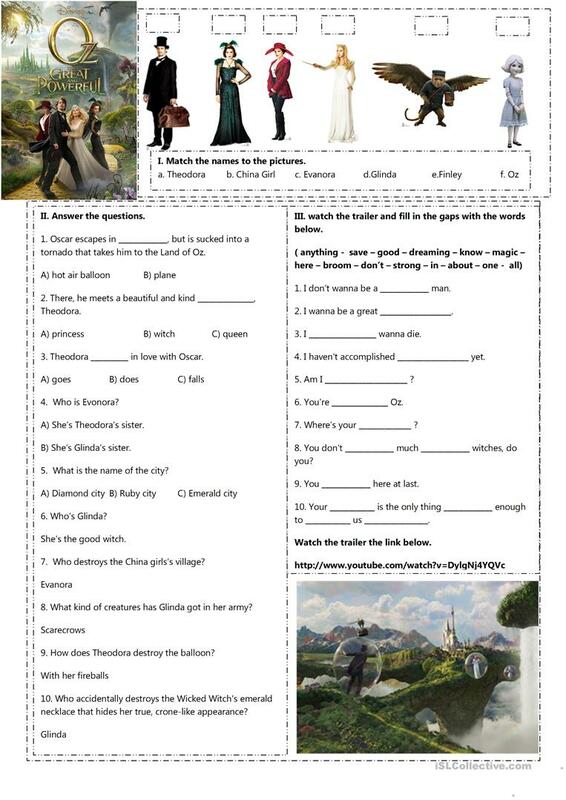 I prepared this worksheet for my elementary students in simple present tense with listening exercise. answer key included. hope you'll enjoy it. This downloadable teaching material is meant for elementary school students and adults at Elementary (A1) and Pre-intermediate (A2) level. 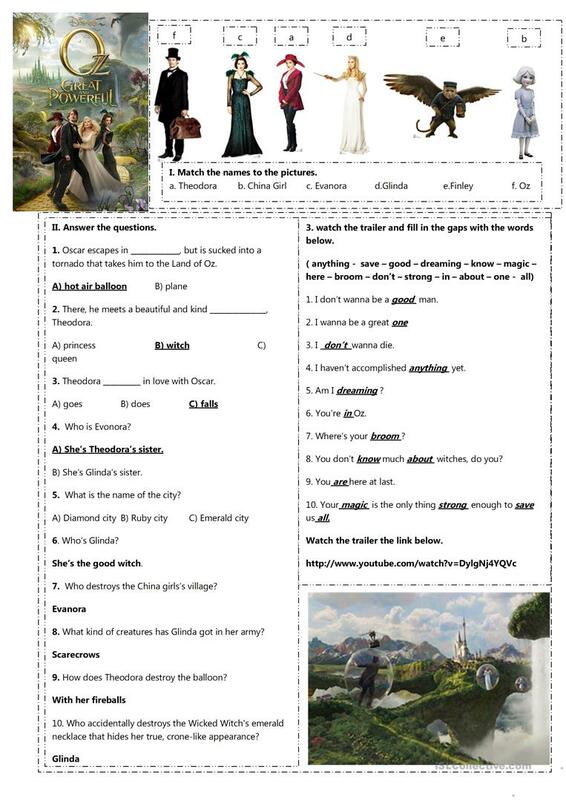 It is valuable for teaching Present simple tense in English, and can be used for strengthening your class' Listening and Writing skills. It includes the answer key, too.